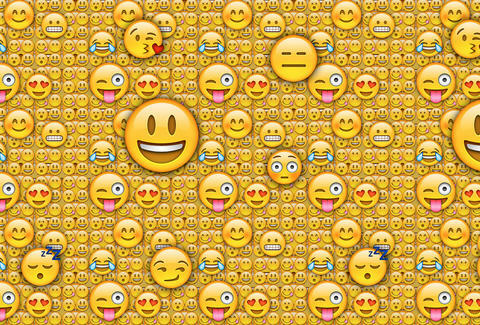 So What's the Plural of Emoji Anyway? Considering the deluge of emoji-related news to come out in the last few weeks, it's no wonder the Thrillist office has been agonizing over some incredibly tough questions lately, like when is it appropriate to send someone the Black Santa Claus (answer: always), and more importantly, what is the correct plural form of emoji? The answer, as it turns out, isn't as straightforward as you might hope. According to the Oxford Dictionary both emoji and emojis are acceptable plural versions for our beloved dancing twins, pizza, and eggplant pictographs. However, in the New Yorker's December 2013 piece about an emoji-themed art exhibit, the militantly fact-checked magazine suggests that, in fact, emoji is the correct singular and the plural. This makes sense when you consider its Japanese etymology -- I mean, we don't say "sushis" when referring to multiple California rolls. But then again, as the Observer notes in its 2014 article, the AP Stylebook "took a firm stand and opted for emojis" as the proper plural, a position that was echoed by the American Copy Editors Society board member that was asked as well. So, who knows, really. Perhaps the greatest mystery of our generation will go unsolved. 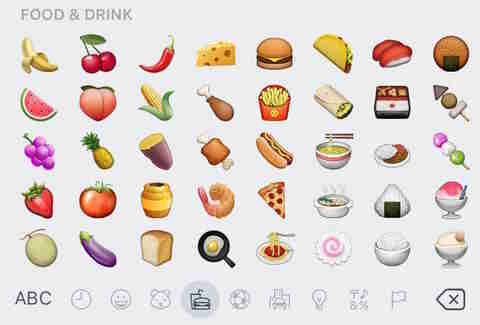 Here's an idea though: let's all just go back to calling them emoticons. Those are easy. Joe McGauley is a senior writer for Thrillist and has too many favorite emoji to pick just one.